Welcome to Ikimono World! A one-stop fan site for all Ikimono Gakari Lovers. Please login to access all forum functionality, else register Here for FREE. 30th single 「あなた」 Now On SALE!! I've got the news as soon as they got posted on social media (in Japanese), but there's me... lazy. I was thinking of waiting for other sites to post this news but then it's nearly a month and I tried googling if someone already broke out the news, to find out none. Earlier this year, Yoshioka Kiyoe opened up her own personal website seemingly promoting her cover songs. I did get the hunch that she's probably slowly inching to a solo career just like how Mizuno Yoshiki and Yamashita Hotaka are currently engaged with a lot of projects. 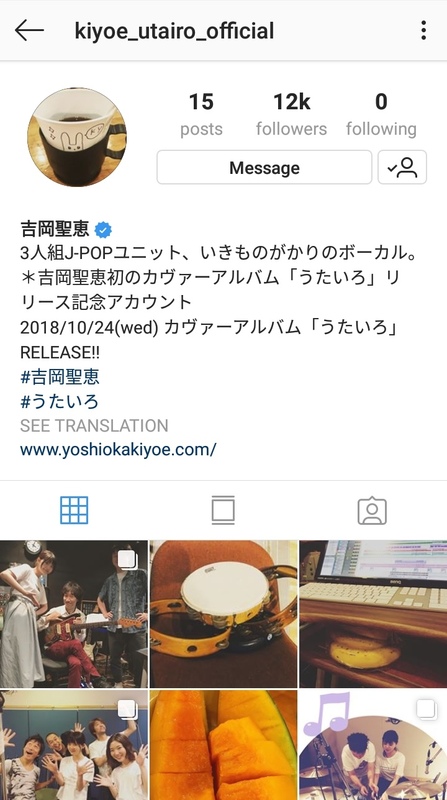 As part of promoting the album, Yoshioka Kiyoe launches her Instagram account . » Yoshioka Kiyoe covered Ohtaka Eiichi 's famous song, "Yume de Aetara"